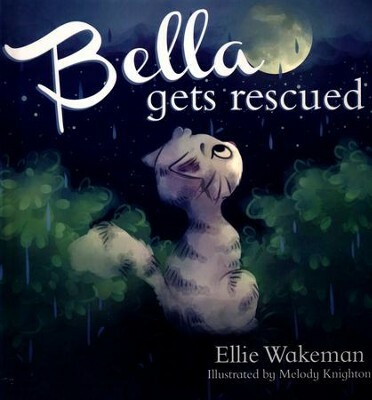 If you’re looking for a sweet book about animals to read to your children, then I want to recommend Bella Gets Rescued by Ellie Wakeman. This beautifully illustrated book tells the story of a cat named Bella, who desperately needs to be rescued. However, Bella is unaware that she is even lost! As a loving family brings her home to love her, Bella struggles to accept her new environment and distrusts the family who cares for her and feeds her. As Bella recalls her journey to finding her forever home, she sees realizes how she gradually grew to trust and love the family who was willing to rescue her and make her their own. Ellie Wakeman based the story on her own beloved cat, Bella, whom she rescued. Using her pet’s story, Wakeman uses the imagery of being lost and then found to show how God the Father rescues us, even when we are so lost that we don’t even know we need to be found. The story can also be used to talk to kids about adoption, which you all know is very near and dear to my heart! My kids loved the illustrations and enjoyed the story–even my nine-year-old! The illustrations are rich and beautiful and do an excellent job of carrying the story along. I would definitely recommend this book. *This book was given to me in exchange for my honest review.